Do you hear this word "Dementia" often these days? What is it? How is it caused? Here is some information about it. 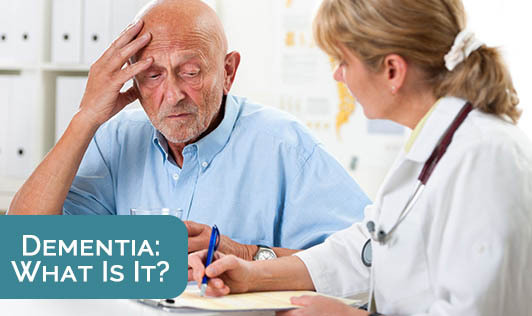 Definition: Dementia refers to a group of symptoms of decline in a person's intellectual and social interaction that limit her ability to effectively function in daily life. These declines are a result of degeneration of brain cells. Causes: The causes for dementia vary. Alzheimer's disease accounts for up to 70% of all dementia cases. Other types of progressive dementias are vascular dementia, Lewy body dementia and frontotemporal dementia. Medical treatments: There is no cure for Alzheimer's dementia and there is no standard treatment. Several medications have proven effective in delaying the worsening of symptoms for up to 6 to 12 months for about half the people who take them. Behavioural treatments: Caregivers of the person with dementia can help limit behavioural symptoms by maintaining a calm and stable home environment, simplifying the style of their interactions to reduce possible confusion. Minimize changes in daily routine and provide an environment that reduces any challenges to the person's comfort and security. Reducing risks: Age is the greatest known risk factor for dementia. The Alzheimer's Association estimates that a person's risk for developing Alzheimer's disease doubles every five years after reaching the age of 65. Also, family history of the disease increases a person's risk. To prevent or delay the onset of dementia: Be active physically, socially, and mentally; maintain a healthy diet; maintain a low blood pressure and low cholesterol level; and continue to learn new information, as it's good for the brain.